From The New Zealand Garden Journal (Journal of the Royal New Zealand Institute of Horticulture), Vol. 1, No. 3, September 1996, pp. 29. A standard method of evaluating trees is essential for all those who have to make decisions about the importance of trees and their preservation, whether in urban or rural situations. There have been difficulties in the past in making such assessments without recourse to a standard method. This thorny problem was initially alleviated by the RNZIH Tree Evaluation Method for New Zealand published in 1988. 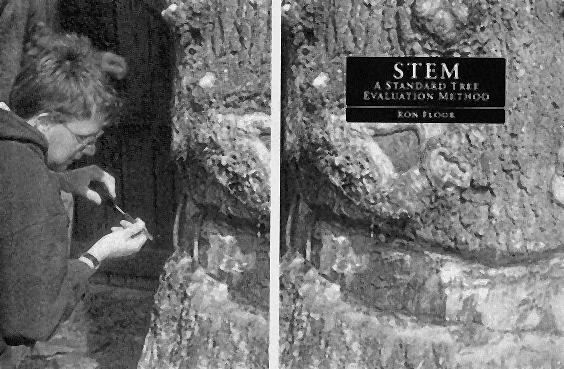 Publication by the RNZIH in 1994 of An Introduction to the Notable Trees of New Zealand which listed over 2000 registered trees allowed work on an improved tree evaluation method, called STEM for short. Work on this method has continued for four years and many changes have been made following public comment. STEM has been developed for everyone; both professionals and lay persons who have to make decisions about trees. Consultation and field trialing started publicly in August 1994 when the fifth draft was launched publicly at the First NZ Tree Symposium in Rotorua. The method was circulated widely to major national professional bodies and qualified persons. Numerous public discussions and talks with community groups were also held. Without exception STEM has been welcomed and helpful comments made in support of the work. Field trials of over 600 trees have been conducted by members of the New Zealand Arboricultural Association (NZAA), Nelson City Council, Nelson Tree Planters, and by interested individuals. Nelson City Council was one of the first local authorities to use STEM Draft 5. In their experience the method was very satisfactory and enabled them to make sound judgements on the hierarchy of important trees in the Nelson region for listing on their Preliminary District Plan. The consensus has been that STEM is uncomplicated by formulae or flawed by multiplications which other systems use. It is also clearer in definitions which will make it more useful at Planning Tribunal and local authority planning hearings. The work includes definitions of the terms used and a glossary of common arboricultural words. It is designed for adaption to many and various geographical conditions. In the assessment of an organic object, the essential ingredient is Objectivity. STEM is a logical method for establishing the intrinsic quality of trees. STEM is also able to set a monetary value based on their evaluated quality. However, it is essential to avoid monetary claims being regarded as unreasonable or excessive. A conservative approach is essential even thought it may be emotionally disappointing. STEM was launched in October  at the NZAA Conference, in Auckland. In 2012 the New Zealand Notable Trees Trust became the copyright holder of STEM – the Standard Tree Evaluation Method which is now used by more than 35 Councils around New Zealand to evaluate trees for their respective district plans. The NZNTT is indebted to Cindy Flook for allowing the Trust to become the new home and controlling authority for this valuable tool. The Standard Tree Evaluation Method and STEM are both Trademarks of the New Zealand Notable Trees Trust. See the notable trees introductory page and website for more information. This book has been reviewed by Bruce Treeby.